Everything you need to label discs, create professional covers and booklets. 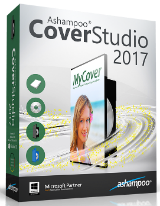 Ashampoo Cover Studio 2017 was available as a giveaway on July 1, 2016! Ashampoo Cover Studio 2017 provides everything you need to label discs, create professional covers and booklets. Whether you just need to scan existing covers, add individual backgrounds or rely on the various templates, you will be satisfied with the result. Rotate objects and texts freely. Please note: The program is made as a part of Ashampoo Burning Studio 16. A unique upgrade price for GOTD users: $23.99, instead of $59.99. How would you improve Ashampoo Cover Studio 2017? Include in the capability of Lightscribe! The one-stop solution for your disc recorder: The new Ashampoo Burning Studio 16 burns data, movies or music to any CD, DVD or Blu-ray disc. Burn everything from simple data discs to highly complex movies with subtitles - you name it. User-friendly, logically structured and usable without any technical knowledge. Upgrade price for GOTD users (from within Ashampoo Cover Studio 2017): $23.99 instead of $59.99. I just looked at your Requirements page & it seems as though this software will not work with Vista. Is that correct? I have several of Ashampoo products & each one works GREAT & they don't play games like other companies do like giving you a SHORT license etc. Ashampoo, I just looked at your Requirements page & it seems as though this software will not work with Vista. Is that correct? I have several of Ashampoo products & each one works GREAT & they don't play games like other companies do like giving you a SHORT license etc. Many THANKS Ashampoo. Could we get a reply to this question ? I too have Vista, its a sufficient OS and it suits me well ! Advice for those d/l any Ashampoo software. Give a secondary email address if asked - you will be on there email list for the rest of your life. Not as bad as Adobe - but close enough. Advice for those d/l any Ashampoo software. Give a secondary email address if asked - you will be on there email list for the rest of your life. Not as bad as Adobe - but close enough. If you're strictly using the English version, you can follow these steps to save on disk space. I know you're probably saying "I have a terabyte drive, why would it matter. It matters because there are fewer files to go through (275) when starting Ashampoo Cover Editor. You can do this with many programs, especially Ashampoo software. First you can delete all the license*.txt and readme*.htm files in the C:\Program Files (x86)\Ashampoo\Ashampoo Cover Studio 2017 directory. Moving to the lang directory. you can delete all files that DO NOT have the *en-US* in the file name. So in the first set, you can delete all files except for ashinet3-en-US.ashLang file. In the next set, you can delete all files except for the common-en-us.ashLang file. In the next set, you can delete all files except for the common-en-us.ashLang file. In the next set, you can delete all files except for the CoverEditor-en-us.ashLang file. You can also delete the help file named CoverEditor-de-de.chm (which alone is 1.17 MB in size.). In the next set, you can delete all files except for CoverEditor-en-us.chm and CoverEditor-en-us.ashLang files. In the next set, you can delete all files except for the graphics-en-us.ashLang file. In the next set, you can delete all files except for the peru-en-us.ashLang file. In the next set, you can delete all files except for the portal-en-US.ashLang file. In the next set, you can delete all files except for the portal-en-US.ashLang. In the last set, you can delete all files except for the wxwidgets-en-us.ashLang file. Strange how many people seem to be saying that just because they don't burn disks any more so why should anyone else! There are many reasons. Mine, in fact, is that I shoot videos for people and then burn to DVD so they can use in their DVD player and view through a television. I make them nice covers with this programme and it works very well. Not all people want to use a computer to view videos. I really am impressed by this software. I think it will be exactly what we need for DVDs for our church video if people don't have access to the internet or just want a hard copy. I love Ashampoo for the most part. Installed just for old days sake, I even remembered my old password for my Ashampoo Account. But when I go to use it, it tells me that there are PREMIUM UPDATES AVALIABLE. So this is really just Trial ware or Adware, as it's already started with the advertisements for other products of yours. And let me guess, the adverts lead to more trial products with PREMIUM PAID FOR UPDATES? The best program you ever made was your Core Optimiser. But this bloat ware doesn't do it for me. Uninstalled after getting serial. How long does it take to receive the initial password? It's not coming through. Thanks Ashampoo. It's nice to see you still in the market. I remember getting your software on the old PC Advisor cover mounts in the 90's. To answer those below arguing about the best format. When I worked on the Sony Studio, the format of choice for SACD (Super Audio CD) is DSD. It's what we use in the Studio. If you've ended up with a Flac or MP3 version of it, that's up to you. Enjoy the software, that's what it's about. Unfortunately for me I will be just taking the reg and adding it to my Ashampoo account (Do we still have these?) As I have the latest Nero which has this function built straight in. I sometimes burn DVD's for friends, so in this situation, this software would allow me to make a custom cover. I keep the Blu-ray Java 1.1 ROM's I do though to myself. freecovers.net - where if you can find the free cover - it's lo-res. If you sign up for the "premium account" then you may get better graphics - but they are NOT free. OK - it is what it is. You can design pretty much anything for a CD/DVD. I have tried it and to be honest it is a bit 20th Century. It is not a simple process to complete. I would have thought many of the steps could be automated. Not for me, although generally I quite like Ashampoo software. OK - it is what it is. You can design pretty much anything for a CD/DVD. I have tried it and to be honest it is a bit 20th Century. It is not a simple process to complete. I would have thought many of the steps could be automated. Not for me, although generally I quite like Ashampoo software. - uninstalled. Digital music tends to be in mp3 format - give me wav anytime. The compression on mp3 music can be suffocating hence the preference for CD's. I didn't see anywhere on the website or posted here that this product burns labels on to discs using the Lightscribe technology. Anybody have any info on this? Gavin, it has a selection for Lightscribe disks. I have not tested that. Gavin, LightScribe seems to work well. I took it as far as where it calls the LightScribe "print" dialog, and its preview image matched the sample image I created in Cover Studio. That print dialog is created by LightScribe system software, so the final step of actually burning the image would be uneventful. Ashampoo and GOTD, thank you for the software! You really should mention LightScribe in your descriptions though, since not everybody supports that technology. Files stored on CD/DVD are digital. It is just a different storage medium and good to have more than one type of backup of important files. I must be way behind the times but I use cd/dvd's all the time. Movies and Music. I make CDs with my favorite songs to play in my car stereo. I sing, write and play my own music and put them on disc. Exactly what does the word digital refer, seriously. Are you referring to the CLOUD? Where you buy content say, on your laptop or phone and don't have anything you have purchased? The only other think of is Flash Drives or sd-Cards? Thanks in advance! Digital means it is stored as a number, the only thing computers can work with. Your computer uses the binary system, on and off, 0 and 1, basically switches. In real terms your computer has a huge number of switches, programs tell them if they should be on or off. The switches are transistors that are turned on or off, 0 and 1. Rosey , when you recorded your vocals and music onto your PC you made it digital in a process called Analogue to Digital Conversion, CD-Audio format was the first digital audio consumer product and started the first revolution away from non-digital media like vinyl records or audio cassette tapes. Digital just means a stream of numbers representing something, could be visual information as in digital images i.e. JPG images etc or digital motion video i.e. 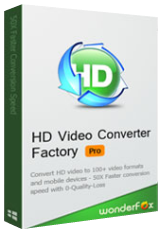 MPEG video files in various standards or digital audio i.e. CD-Audio, Digital Audio Tapes (DAT), mini-disc, MP3 files. These are all digital forms containing Digital representations of initially Analogue information. Rosey , when you recorded your vocals and music onto your PC you made it digital in a process called Analogue to Digital Conversion, CD-Audio format was the first digital audio consumer product and started the first revolution away from non-digital media like vinyl records or audio cassette tapes. Digital just means a stream of numbers representing something, could be visual information as in digital images i.e. JPG images etc or digital motion video i.e. MPEG video files in various standards or digital audio i.e. CD-Audio, Digital Audio Tapes (DAT), mini-disc, MP3 files. These are all digital forms containing Digital representations of initially Analogue information. Great vendor - great products. I would keep this blindfolded. How many of you are still buying disc nowadays? I thought it was died sometime ago. It's almost impossible to find new laptops with CD/DVD driver now. Try upping your budget, then see what is available. The less you are willing to pay - The less you get in terms of features. hardgirl, Try upping your budget, then see what is available. The less you are willing to pay - The less you get in terms of features. Nigel, Thanks for the advice. But i don't need to as my all data are digital. DVD/CD so yesterday! "So yesterday"? ....... Like breathing, and sunshine? Some people like Hard copies of their work/files/movies. hardgirl, "So yesterday"? ....... Like breathing, and sunshine? Some people like Hard copies of their work/files/movies. Seriously? You don't need because your data are digital? hardgirl, I still buy CDs. Admittedly I do rip them as soon as I get the time and I'll probably only ever listen to them via mp3 format on my phone. I guess I like to actually own a physical thing rather than just having a license to use it. Or maybe it's something to do with being middle-aged. Having said all that I haven't burnt a disc for a long long time so I don't really need something that creates labels or covers. I will add that I'm posting this from the MSI Apache Pro I bought in March and which has a CD/DVD drive. I think it's pretty easy to find a laptop with an optical drive so long as you're not after a super slim model. hardgirl, I still buy CDs. Admittedly I do rip them as soon as I get the time and I'll probably only ever listen to them via mp3 format on my phone. I guess I like to actually own a physical thing rather than just having a license to use it. Or maybe it's something to do with being middle-aged. Having said all that I haven't burnt a disc for a long long time so I don't really need something that creates labels or covers. I will add that I'm posting this from the MSI Apache Pro I bought in March and which has a CD/DVD drive. I think it's pretty easy to find a laptop with an optical drive so long as you're not after a super slim model. I have a car with a CD-player(6CD) build in and sometimes I make a CD with various music on it. Then it is handy to see what CD I put in. Especially when it takes time to recognize the CD and play it, you don't want to guess the CD. hardgirl, I have a car with a CD-player(6CD) build in and sometimes I make a CD with various music on it. Then it is handy to see what CD I put in. Especially when it takes time to recognize the CD and play it, you don't want to guess the CD. "It's almost impossible to find new laptops with CD/DVD driver now." Because they add height or thickness, & the preferred style for many is thin -- the thinner the better. So they stick the laptop DVD & Blu-ray drives & burners in external housings with USB connections, which are fairly popular, especially I think for people that travel, e.g. for work. That way you have thin & light during the day, play your DVDs or Blu-ray that night. I bought my Asus USB 3.0 DVD burner for $10 after MIR @ Newegg -- works great, including with my tablet. hardgirl, <i>"It's almost impossible to find new laptops with CD/DVD driver now. "</i> Because they add height or thickness, & the preferred style for many is thin -- the thinner the better. So they stick the laptop DVD & Blu-ray drives & burners in external housings with USB connections, which are fairly popular, especially I think for people that travel, e.g. for work. That way you have thin & light during the day, play your DVDs or Blu-ray that night. I bought my Asus USB 3.0 DVD burner for $10 after MIR @ Newegg -- works great, including with my tablet. hardgirl, everything ON my hard drives are also backed up to CD/DVD/BluRay. Everything. IF you haven't any backups, one day you will find (to your dismay) why people still use optical media. If you're using cloud - you're trusting someone else's computer & their backups. I prefer knowing I have here at arms reach, everything digital that I value. hardgirl, everything ON my hard drives are also backed up to CD/DVD/BluRay. Everything. IF you haven't any backups, one day you will find (to your dismay) why people still use optical media. If you're using cloud - you're trusting someone else's computer & their backups. I prefer knowing I have here at arms reach, everything digital that I value. hardgirl, suit yourself - I've had a few of those thumb drives go south & took all their data with them. Things are reliable - until you're 100% totally dependent - then when you absolutely "do or die" have to have them - el crasho. They're great for short term transfers. Before "thumb drives" I used re-recordable cd to port data back and forth. If the thumb drives were as good as we'd all like them to be, nobody would need a multi -platter hard drive. I've also got 12 TB of Hard drive - for quick & easy access - but they also are backed up to optical. Some things - when you lose them, there is no recovering them. And sites where you thought you could go back & download them again - have a habit of not being there any more. Had a 1TB drive die, took me 4 months or hunting to recover the data. With my optical disk library, might take the better part of a day. Best of "luck" to you. hardgirl, suit yourself - I've had a few of those thumb drives go south & took all their data with them. Things are reliable - until you're 100% totally dependent - then when you absolutely "do or die" have to have them - el crasho. They're great for short term transfers. Before "thumb drives" I used re-recordable cd to port data back and forth. If the thumb drives were as good as we'd all like them to be, nobody would need a multi -platter hard drive. I've also got 12 TB of Hard drive - for quick & easy access - but they also are backed up to optical. Some things - when you lose them, there is no recovering them. And sites where you thought you could go back & download them again - have a habit of not being there any more. Had a 1TB drive die, took me 4 months or hunting to recover the data. With my optical disk library, might take the better part of a day. But - my personal experiences aside, Best of "luck" to you.